"Life is a gift which we choose how to wrap. Circumstance need not determine your attitude, nor hinder your capability. The most heinous acts of depravity nor eyes filled with unforgettable loss can stop the human spirit which desires better." 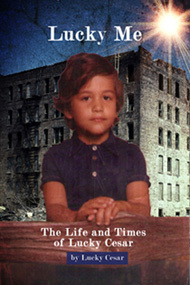 "Lucky Me is a story based on real life events told through the eyes of a child raised in the South Bronx. The word poverty, at times, seems inadequate. Sleeping in stairwells that offered a semblance of protection on mattresses that others had discarded must be welcome memories when compared to the other tragic events this child endured." "But do not feel sorry for him; for he will have none of your pity. Do not judge his father, for you have not walked in his shoes. Do not think that this is a childhood for which he can brag. But do believe in the human spirit that helped him escape into a better life." A Review by Javier Rivera, host of Radio show Esencia Latina, Rochester's Jazz 90.1 FM. Sat.6-10am. Are we a product of our own environment or are we a product of our own decisions? 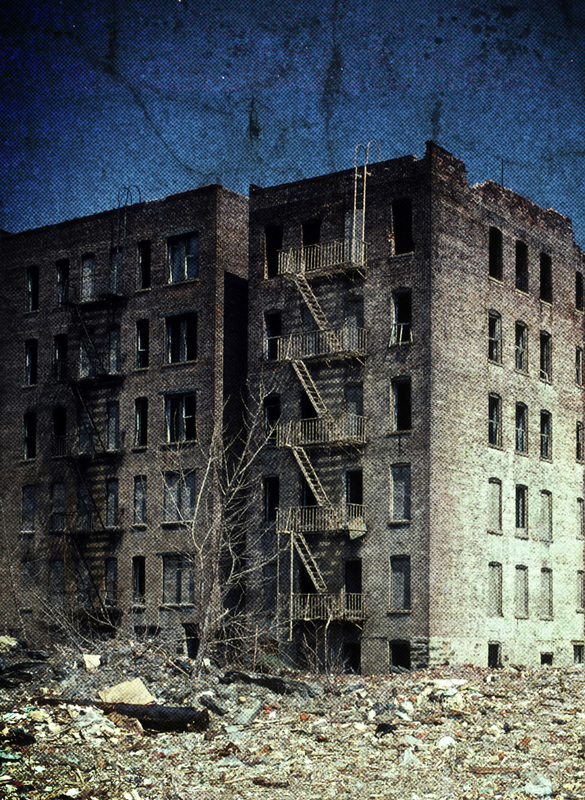 Julio Jordan aka "Lucky Cesar" takes the reader to a journey, where a pre-teen is growing up in one of the worst times in the Bronx during the AIDS and Crack epidemic of the late 80's. Jordan with his unique writing style, involves the reader in all of the situations that a typical kid who grew up with nothing, survived the day to day struggles of life with a background full of drugs, violence and death and hoping for a life much better than what he had. Jordan tells it like it was, with its smells, colors and tastes, describing every detail of moments that one way or another changed his life to become the man that he is today. A look back to a life who the author considers himself lucky to be alive and did not become another statistic even when the odds where favorable to either go to jail or die in the streets. He describes how the friends he grew up with were not able to escape the jaws of easy money, or the addiction to drugs. How people were getting killed for small amounts of money or with no regard to the value of life. He saw and felt at a young age the damage that these problems could do to families and neighborhoods and to him. Not all was gloom and doom. There were touching snippets while you read that will give you moments of hope and sometimes a lump in your throat, making you realize how Lucky some of us are in this world, who have a roof over our heads and a fridge stocked full of food while others have to survive in order to get by another day. By the end of the book, Jordan comes to what he calls "a fork in the road." Up to this point, life has taught him to stay away from the road that others have failed. Will he make the right turn and continue to strive and achieve what others in his neighborhood haven't or we'll he make the left turn and fall prey into the abyss that most of his friends never were able to escape from? A decision that will change his life forever! What will it be? You have to read the book to find out! This letter is being written to highly recommend Mr. Julio Jordan in terms of his being a motivational and inspirational speaker. As the author of “Lucky Me: The Life and Times of Lucky Cesar”, he was our speaker for one of our recent cultural events (held monthly) here at the Casa Hispana of Nazareth College. Since October is Hispanic Heritage Month, I thought the students and general public would be interested in hearing how a local Hispanic author overcame a tremendously negative environment during childhood and adolescence and turned it into a life of positive and creative thinking, personal responsibility and a commitment to pass this knowledge on to other young people so that they won’t make the same mistakes Mr. Jordan made along his extensive journey toward “wellness”. Our students, especially the ones in “early childhood education”, were quite fascinated by Julio’s talk. With a question and answer period after his presentation, they wanted to know what they could do in the classroom to help students that they feel are “falling through the cracks”. Mr. Jordan’s direct and poignant comments and suggestions were quite helpful and there was a lively discussion about the importance of ONE teacher being able to change or re-direct someone’s life. Julio came fully prepared with a video, readings from his book with extemporaneous anecdotes added on for clarifications, an outline and his own promotional materials as well. It was a very enlightening and educational evening for all who attended. With this in mind, I highly recommend Mr. Julio Jordan as a motivational speaker who holds your attention, speaks clearly and with much “street” wisdom and knowledge sprinkled throughout his talk. He is a writer, poet and actor as well and volunteers his time within the Latino and non-Latino communities in our city. I thank you for considering Mr. Julio Jordan for any of your planned activities or programs where his speech would be a definitive addition to your social, economic, educational or cultural agendas. Professor Elena Nápoles Goldfeder, Ph.D..
2013 Lucky Cesar Media Company © All Rights Reserved. Rochester NY.Contact us.